Womply’s SaaS product for small businesses historically offered financial and online reputation management features. However, starting in late 2017, email marketing features became an area of focus for the growth of the product and company. The first email marketing features were automatic emails for transactions, birthdays, requests for online reviews, holidays, and more. 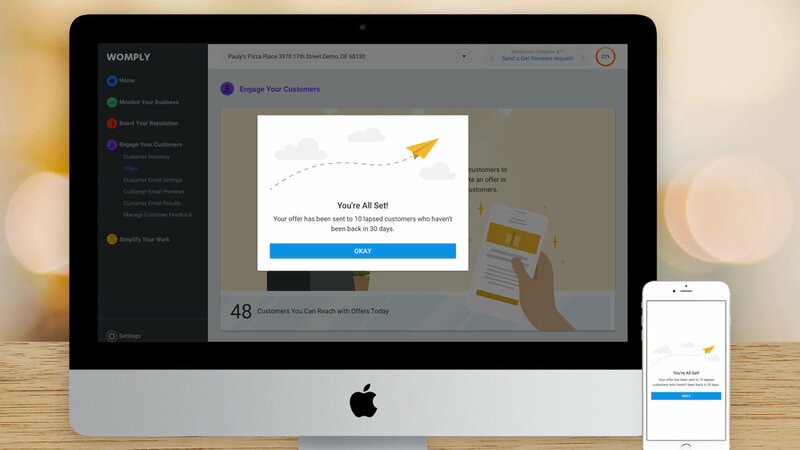 While there was plenty of appreciation and feedback about those features, small business owners were noticeably expressing to our sales and customer success teams that they'd love to be able to easily email special discounts to their customers. When we investigated further into this area of interest, we found that most of the small business owners requesting this feature had never previously offered discounts to their customers, whether via email or direct mail. Since Offers was to be a completely new section of the product, and interested small business owners were inexperienced with sending their customers discount offers, we put a priority on creating a focused MVP, one that would be immediately easy to understand and use. This meant we needed to be very intentional with the features and screens to incorporate into the initial launch, so as to remove any potential friction or burden on the small business owner. 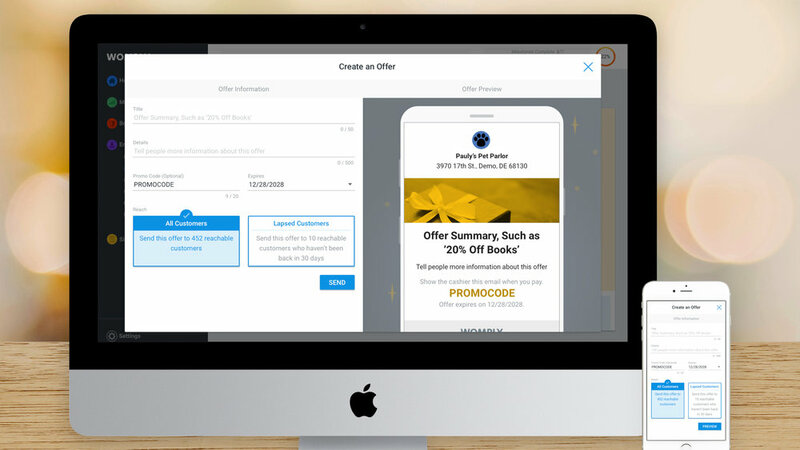 We optimized for a simple offer creation flow that allowed for small business owners to easily experiment with a new way of enticing their existing customers to return to their shops. And for the first time at Womply, we incorporated rich illustrative elements into the core of the Offers UI, further allowing small business owners to easily envision how Offers could help both their customers and their business.